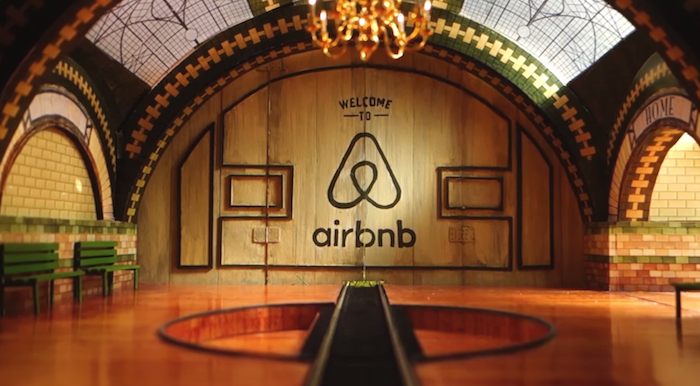 Airbnb Mounted A Camera On A Model Train And Produced An Amazing New Video! We are big fans of Airbnb here at Vulcan Post, simply because you can easily book some of the most amazing places (castles and beer barrels ftw!) to stay when you are on vacation. The folks over at Airbnb has just released a new video which is absolutely amazing – unlike most videos which are done in animation or in post production, Airbnb’s new video was shot through a small camera mounted on the model train in a single, 60-second take. According to its description, all external movements are mechanical, and the different transitions in the video were hand operated so it had to be incredibly coordinated. On the day of the final filming, it took 85 tries to get the perfect take! Airbnb definitely makes the world a smaller place, literally.